Unfortunately, we do not service that area at this time. If you have any questions or would like to discuss additional options call us at 248-926-9946. Is This For Home Or Office? Rental Crates.com is conveniently located to serve residents and businesses in Southeast Michigan. Our headquarters is located in Walled Lake with convenient access to major expressways. 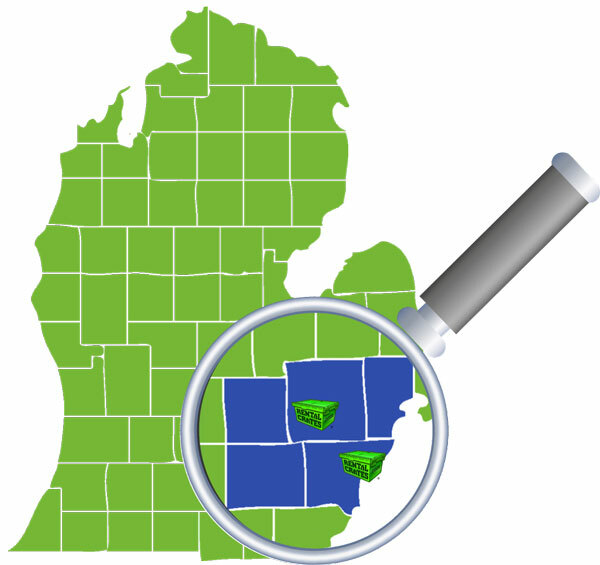 Our delivery area includes cities within Oakland, Wayne, Washtenaw, Macomb, and Livingston Counties. If your upcoming move is in our service area, you can cut down on moving supplies costs by having Rental Crates delivered to your doorstep. If you are located outside of our service area, feel free to give us a call or visit our contact us page. A Rental Crates Expert will be able to answer any questions you have.